I had two people highly prase this recipe. One was my father in law, who said something to the effec to, “I didn’t know a pale beer could have flavor.” The other was my brother, who said this was one of the best beers I had made yet. Both comments made me feel pretty good. The recipe below is one I created on my own, after listening to an interview with Mitch Steele. talking about his new book about India Pale Ales. During the interview, Mitch talked about the fact that the earliest versions of IPA were brewed without crystal malts, so I developed this recipe using only base malts and the hops I had available. This IPA may not be bitter enough for some of you, but I enjoy it. It has a balanced bitterness, with a strong hop flavor and aroma. The citrusy, grapefruit pith flavors are offset by the warm, bready malt flavors. There is enough sweetness to make a bomber go down easy. Pouring this beer can be a bit of a challenge. The “problem” is the lingering head. This is an all-barley beer, so I can’t blame wheat malt or oats or any of the other grains usually used for head-retention. Nearly the consistency of whipped cream, the head keeps building after I stop pouring. Even with a really careful pour, I usually have to slurp foam from the top of the glass at least once during the pour. 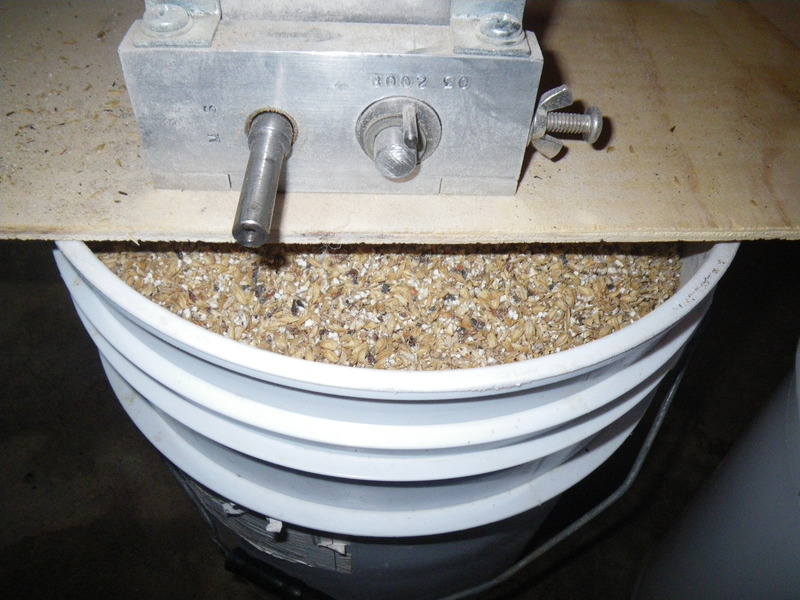 I mashed the grain at 150 degrees Fahrenheit for an hour, and batch sparged to reach a boil volume of 13 gallons. 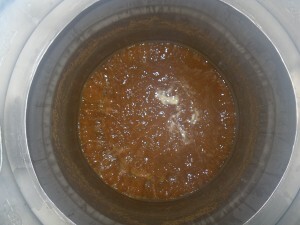 With boil off, I wound up transferring just over 11 gallons into my fermenter. I pitched 2 packets of Danstar/Lallemand Nottingham ale yeast. I bottled this beer 1 week before our club competition in November. It did not have time for the yeast in the bottle to consume all the priming sugar, so it tasted a little weird. After an additional week in the bottle, it was so good I was disappointed every time I reached the bottom of my glass. In fact, I blew through the entire 10 gallon batch by New Year’s. It was one of the beers that has been the most fun to share.